Actually, like a fool I forgot to take too many photos whilst I made up the doublet. 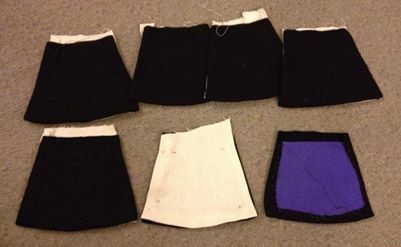 I did lay out the tabs before I put them around the waistline. 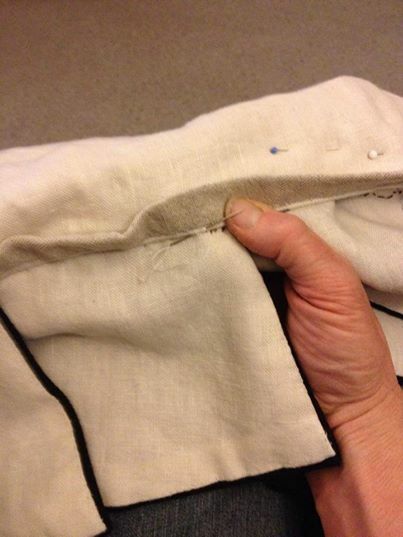 The fabric is quite fine, so I layered the tabs with a piece of broadcloth inside each one, wrapping the outer black wool around the inner and then whipping the linen lining to the inside. 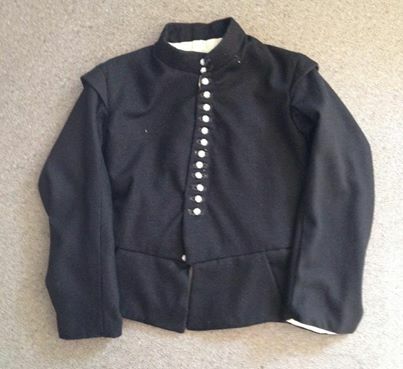 Here are two pictures of the (nearly) finished doublet showing the inside and outside views. 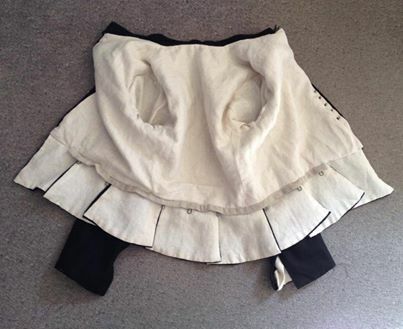 I need to finish four buttonholes and the doublet is done.